Sources Clarke plagiarized include a 2002 ACLU report about "The Government's Demand for New and Unnecessary Powers After September 11," a 2003 ACLU report critical of the FBI's records-collection practices, a 2007 ACLU report on "fusion centers," and a 2011 ACLU report on the need to overhaul secrecy laws. Other sources Clarke lifted words from include: the 9/11 Commission Report, a 2011 article in the Homeland Security Affairs journal, the Pew Research Center, a 2012 report by the Constitution Project, a 2003 report by the US General Accounting Office, a 2011 Brennan Center report, a 2013 Washington Post article about the Foreign Intelligence Surveillance Court, Comparative Homeland Security: Global Lessons, a textbook by Nadav Morag, and Safe Cities Project, a research paper published by the Manhattan Institute. Clarke also lifted language from former President George W. Bush's book, "Decision Points." Clarke announced on Thursday that he had received the appointment to the DHS "office of partnership and programs" where he will serve as a liaison with law enforcement at several levels across the country. A spokesperson for DHS later said Thursday that no announcement had been made regarding Clarke's appointment. Clarke is known for his eyebrow-raising comments, including calling Black Lives Matter a hate group and calling the organization "Black Lies Matter." Clarke has also faced criticism for his management of a Milwaukee County Jail, where local prosecutors say an inmate died of dehydration after going a week without water. After CNN's KFile attempted to contact Clarke for comment on this story, he took to Twitter, writing, "This @CNN hack @KFILE oppo research MO is to accuse plagiarism. I'm next. Did it to Rand Paul, Monica Crowley et al." Clarke later told the Milwaukee Journal Sentinel: "Only someone with a political agenda would say this is plagiarism." 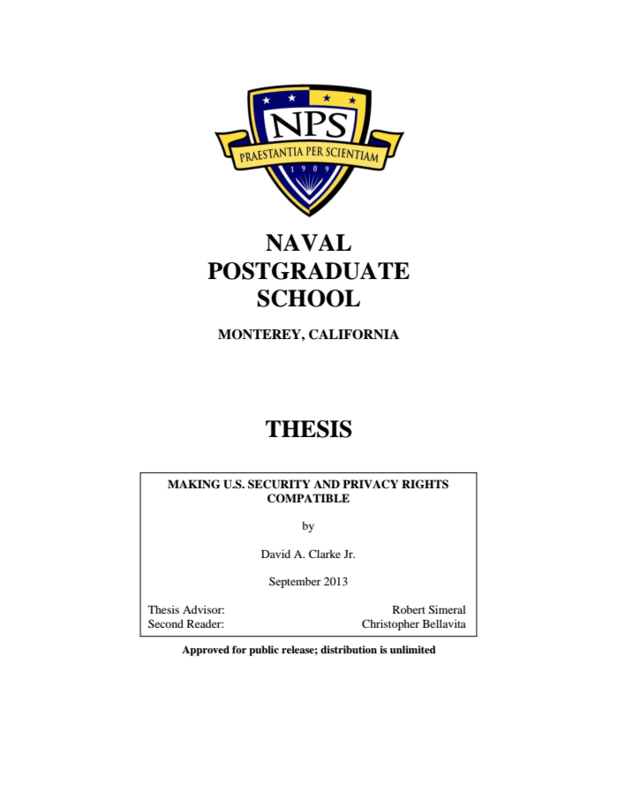 In a statement, a spokesperson for the Naval Postgraduate School said standard procedure would be to launch an investigation into a thesis when allegations of plagiarism are made. failing to forecast the fall of the Soviet Union. It is hard to break down stovepipes when there are so many stoves that are legally and politically entitled to have cast iron pipes of their own. It is hard to ― 'break down stovepipes’ when there are so many stoves that are legally and politically entitled to have cast-iron pipes of their own. impair the collection of needed information. carefully thought out and debated. politics catches up and limits the options. ‘politics’ catches up and limits options. apartment leases and library records. drug traffickers and mob bosses. apartment leases, and library records. government to conduct surveillance and searches. their focus on domestic communications. each other. What is missing today in U.S.
executives down to street officers. intelligence agencies are in constant contact. police chiefs to officers at the street level. and freedoms for its inhabitants. cannot do when investigation individuals. overridden without very good cause. allowed to do when investigating an individual. for up to six months (whichever is the shorter). These warrants last from two to five days. action can be authorized by officers within MI5. rights and must be limited in time. noncitizens in the territory of foreign countries. carrying out specific criminal acts. each has to be prosecuted independently. the basic rights of the population. which would make for more successful oversight. briefings with other members of Congress. to submit to Congressional oversight. context to what has been published"
rules that aim to protect privacy. rules that aim to protect Americans’ privacy. should feel comfortable with that. Design by Sergio Hernandez and Tal Yellin, CNN. Illustration by Will Mullery, CNN.